You’ll find interesting wildlife and exciting outdoor beach scenery to photograph and view here. It’s slightly off the beaten path, but making the trek to this scenic and historic area from your vacation rental or beach house on Anna Maria Island is well worth it. Bean Point is as historic as it is beautiful, as it is the former home of the founder of the island, George Emerson Bean. In 1892, he chose the northern tip of the island for a 160 acre homestead. Bean started to develop the area around his home with the assistance of his son. George Emerson Bean died in 1898 but left the planning of the city of Anna Maria to his son who partnered with Charles Roser. Roser was a wealthy real estate developer and businessman who is credited by many for inventing the Fig Newton. Roser and Bean established streets, a functioning water system, homes, schools, churches and the first community on the island. Although the original homestead structures are no longer standing, the area is steeped in history and remains one of the most scenic parts of the island. You can catch some brilliant sunsets here without any obstructions whatsoever, overlooking a vast and clear blue ocean. It’s also an ideal place to watch the local birds and wildlife without interruption or dealing with the big crowds at the public beaches. It takes a bit of a hike to get to Bean Point, as there are no facilities like parking lots or lifeguards at this private stretch of beach. You can find entrances to Bean Point on the intersection of Gladiolus Street and North Shore Drive and Fern Street and North Shore Drive, with marked signs noting beach access points. There are a few street parking spots nearby where you can park such as those near the intersection of Fern Street and Jacaranda Road, but be aware that these are limited. You can also take the free trolley to Bean Point, but you can expect to walk a little under a mile to get there from the Anna Maria City Pier, which should take about 16 to 20 minutes or so. 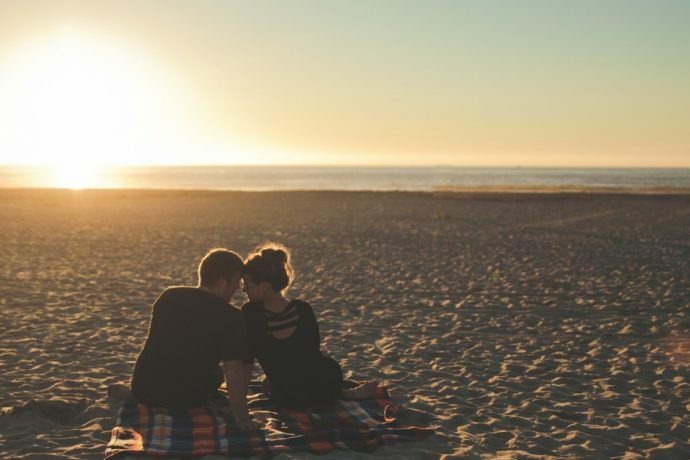 It can also be convenient to bike to Bean Point if your beachfront vacation rental or Anna Maria Island beach house is nearby, as you can park your bike at one of the entrances or bring it with you. Bring a beach towel and a picnic basket and relax at this scenic spot and take in the sunshine and waves. 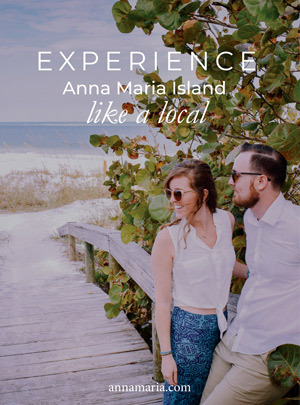 Your vacation to Anna Maria Island won’t be complete without a visit to Bean Point. Indulge in the breathtaking scenery and visit the place where everything on the island started!